French company Dexter have added some new lids and accessories to their range for 2017. So we decided to give you the low down on two of their top notch helmets. 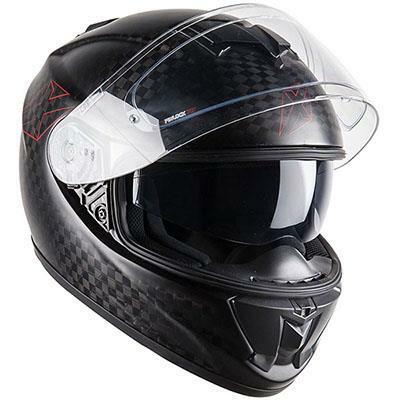 With a stand-out black, white and red paint scheme, the Atome is a lightweight tri-composite fibre helmet. It comes with a Pinlock insert and a free dark visor. The Dexter Tech interior is fully removable and features a double D-ring retention strap. Similarly to the Atome this Dexter also comes with a Pinlock visor insert, but stands out as an affordable full carbon-fibre shell lid. Other features include a dropdown sun visor, removable Dexter Tech interior and micro-metric ratchet retention strap. 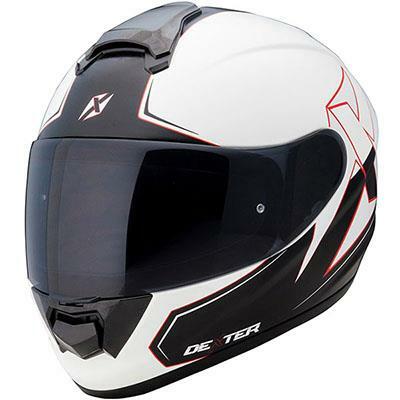 Both of the above Dexter helmets come with two years warranty and are available on the MCN Shop now.